Toronto, Ont. Ontario Home Stager/Interior Decorator accepted as a new member of faculty at CSP International™ Business Training Academy. Christine Rae, President of CSP International™ Business Training Academy, a Real Estate Staging Business Training company, is proud to announce that Charlene Storozuk, Principal at DezignerDigzTM joins the CSP International™ faculty. 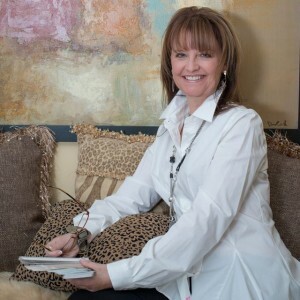 She will present her revealing “downsizing” webinar as a foundational introduction to this fast growing segment of business. St Catharines, Ont. – Sept 5th, 2014 – Christine Rae announced today that Charlene Storozuk, Principal at Dezigner DigzTM has been selected as an official webinar presenter. Storozuk is well-qualified to share her experiences in this developing segment of the staging industry. Her background as a Legal Assistant and Human Resources Manager has assisted in both the running of her business and day-to-day relations with clients and vendors. The appointment means Home Stagers and Interior Decorators worldwide will now have the opportunity to explore and expand their learning. CSP InternationalTM does offer certification as a Senior Move Manager; Storozuk’s presentation will provide participants chance to learn the foundation of the industry before attempting certification. Rae has said the webinar will award one continuing education credit towards the International Masters certification as well. CSP International™ Business Training Academy offers a variety of learning opportunities to expand experience as a component to successful business building. The Academy has programs for Real Estate Professionals, Home Stagers, Decorators, Contractors and Business Owners. Certified Staging Professionals, a Home Staging Training and Real Estate Strategy company, trains Home Stagers through comprehensive staging courses of study that includes 3 days in a classroom, 8 weeks of home study, live marketing coaching after class plus complimentary access to approximately 100 hours of recorded webinars. CSP International™ is also a resource for Realtors and home sellers to find and hire graduates of this highly accredited staging education program, for assisting them in successfully closing their real estate sale. CSP began as the brainchild of its founder and president, Christine Rae. A long-time corporate executive, Christine began with the CSP program and a goal of bringing her penchant for high standards and business ethics, together with her knowledge of design and the real estate industry to an industry without a map. Her own extensive training from across North America includes London UK, New York City, California, Texas and the Carolinas. From her research Christine knew there was a need for a distinctly different approach to staging and staging training. Growing from one course to a complete school with several physical locations and a group of highly skilled trained instructors, the CSP program, accredited through the Real Estate Staging Association is the leading global source for finding highly trained stagers and is the primary destination for anyone wanting to become a successful stager, it is the company more real estate agents turn to, on behalf of their clients. CSP International is a Certified Women’s Business Enterprise having expanded to the United States in 2006 and Australia in 2009. The program has been translated into Mandarin; Global license opportunities currently under review include China, Germany, Holland and France.